Bringing you the latest technology in the lanyard industry, these LED lanyards will make any night event an outstanding one with their captivating colors and new take on an otherwise static product. 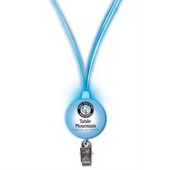 Imagine any of the below lanyards lighting up the night as everyone is captured by them and of course sees your logo printed in one or multi-color prints around the lanyard. 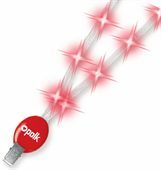 What better way to captivate your audience then with these amazingly vibrant LED lanyards.